This rectangular bamboo serving tray with a dimension of 11 x 7 x 0.4" / 29 x 18.5 x 1.6 cm Senegal Cosy & Trendy is of top quality. This serving tray is perfect for table service and suitable to transport cups or verrines. 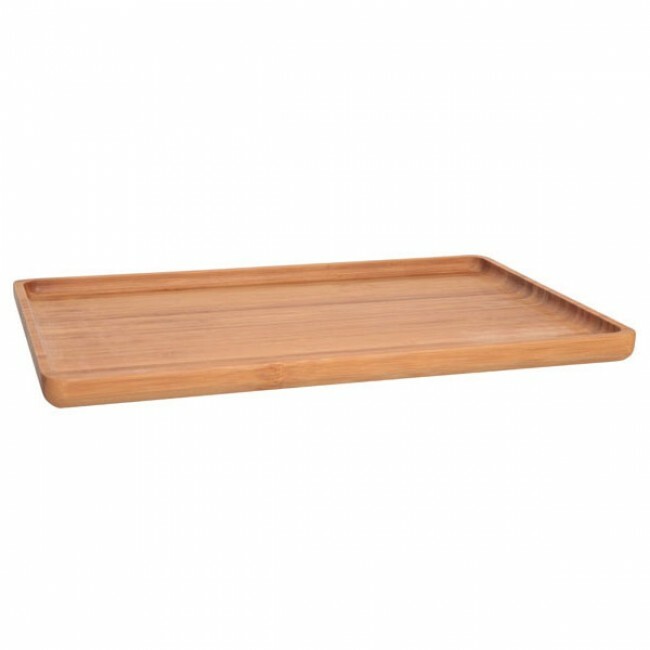 This bamboo serving tray 11 x 7 x 0.4" / 29 x 18.5 x 1.6 cm is sober and will complement different table decors. Before the first use, coat the tray with vegetable oil, and to maintain it, clean it with warm water and dry it immediately with a soft cloth.